What is the Role of a Driver? In an attempt to answer the question, “What is the role of a driver?” someone once gave the analogue of a classroom. He equated the hardware devices on the computer to children in a classroom who have no idea how to behave. He said that the PC is the teacher, who dispenses instructions to the devices (kids). He then likened the drivers to the guides that tell the teacher what to teach the kids and the kids how to interact with the teacher. The above scenario explains, in a very simple manner, what the role of the drivers in your computer is. When the drivers are loaded into the PC, the computer knows exactly what each of the hardware devices in it is supposed to do. Computers would have been nothing without device drivers, and device drivers would have been nothing without computers. If you did not load the drivers onto your computer, most of the functions that it does would have been impossible as your computer would not have the ability to identify the devices and tell what they are there to do. The device drivers you download into your computer are dependent on your operating system. This means that drivers that would work on a computer that operates on the Windows 10 platform will not necessarily work on one that uses IOS. You could also discover that a driver suitable for Windows 7 would not work for Windows 10. This means that before you go ahead and load a device driver, you will need to ensure that you are clear about the operating system on your device. You will also need to ensure that you are loading the latest version of that driver. The advantage of loading the latest version is that you will benefit from the latest instructions for the device you are using so that it can work better. solutions. When you attempt to load device drivers on your PC without sufficient knowledge, you are likely to end up with a damaged PC as you can load the wrong driver by mistake. Software engineers at SafeBytes have been at work for some time understanding how device drivers work. 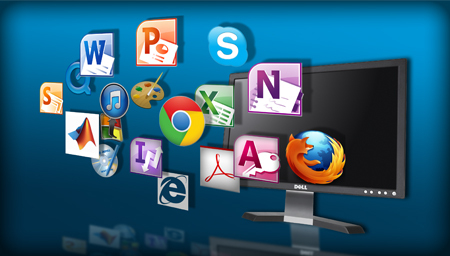 Part of their work has been to review the problems faced by many computer users. The result of their research was the development of DriverAssist. This software will scan any computer into which it has been downloaded with the aim of checking the device drivers on the system. It will identify the ones that are out of date and look through its own massive database for the latest version of the required drivers. Once these have been identified, it will replace them in a matter of seconds. As can be seen from the discussion above, device drivers are an important part of your computer. Without them, your computer would not have been able to do half the work it does. For this reason, you need to invest the right amount of time in ensuring that they are always kept up to date. Fortunately, you do not have to do any of this; DriverAssist has been made to do just that.